This is certain to rile enthusiasts. The other day, we witnessed what we interpreted to be the death of BMW as "The Ultimate Driving Machine." A friend of ours had the new 540i on loan from BMW and demonstrated the self-parking feature that allows the car to back itself into a spot. Like the BMW stereotype, the park job was crooked, and we laughed at what had become of the so-called "driver's" brand that no longer required a driver. 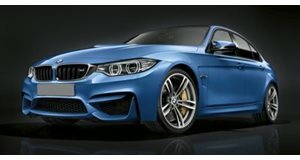 BMW's direction is taking it away from this moniker, and in an interview with Drive, BMW M talked about another decision that enthusiasts will hate. We already know that the next-generation BMW M5 will not come with a manual transmission option. If fact, the only reason that the current F10 model had this option was because of strong demand from America. Europe hasn't had a manual M5 since the E39 generation. Even though we love manuals, the dual-clutch transmission has always been a nice middle ground. 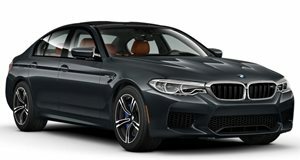 Unfortunately, BMW M's vice-president of sales and marketing, Peter Quintus, who we spoke with in Shanghai about the new M4 CS, says that both manuals and dual-clutches are not long for this world. When asked about these transmissions, Quintus said "It's more a question of how long has the DCT got to go. How long will it last?" Quintus believes that the manual will be gone in six or seven years and that the dual-clutch could be next. "We are now seeing automatic transmissions with nine and even 10 speeds, so there's a lot of technology in modern automatics," he said. So why would BMW want to go back to automatics instead of dual-clutches? According to Quintus, "The DCT once had two advantages: it was light and its shift speeds were higher. Now, a lot of that shift-time advantage has disappeared as automatics get better and smarter." We have already seen Audi ditch the dual-clutch in the new S5 and RS5 and now it looks like BMW won't be far behind.